All migrations start with MigrationWiz, a fully automated, 100% SaaS migration solution that can be accessed at any time from anywhere. Sign up, configure, and initiate mailbox, document, personal archives, Public Folders, and cloud storage migration projects from a single, centralized user-interface. See supported Sources and Destinations. No specialized training or certifications necessary, and no hardware or software to install and maintain. MigrationWiz just works! The world-class BitTitan Support Team is available around the clock to ensure any potential technical issues get solved promptly and completely. With project sharing, MigrationWiz users can see and collaborate on migration projects in progress, increasing efficiency across departments. BitTitan datacenters are compliant with ISO/IEC 27001/ 27002:2013, SOC 1, Type 2 and SOC 2 Type 2, PCI DSS Level 1, HIPAA/HITECH, CJIS, CSA CCM, FERPA, and more. MigrationWiz automates the receptive, and often mistake-prone work that accompanies migrations. Cloud to cloud migration would be impossible without MigrationWiz. MigrationWiz is our tool of choice. From the capabilities it provides, to the customer service, knowledge and professionalism of the BitTitan team, we rely on BitTitan for even the smallest of migration projects. The best part of MigrationWiz is that it’s fully automated so you have time to focus on what’s important: Managing customers and their expectations. Product, pricing, ease of use, and support… all top of the line! Migrate mailboxes, documents, and personal archives—plus, configure Outlook. Move workloads at any time within the 12-month life of the bundled license. MigrationWiz is the only migration tool to provide you with Advanced Options. Select from a robust library, including Date Range Filtering, Impersonation or Delegation, Folder and Recipient Mapping, and many more. 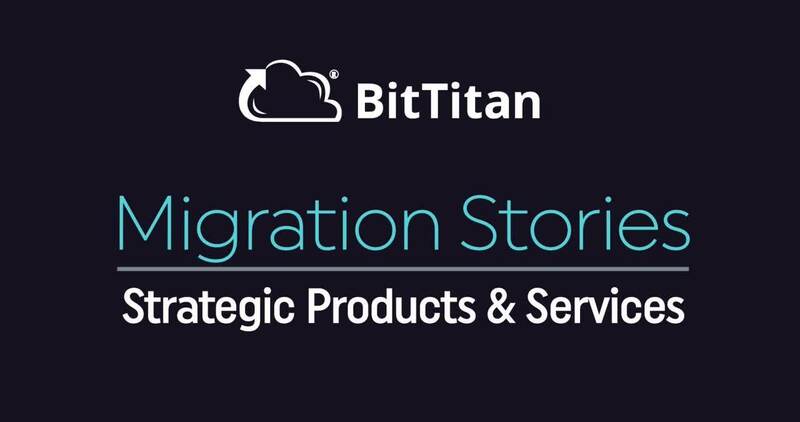 BitTitan customers share migration success stories. Hear how five BitTitan partners impressed their customers with MigrationWiz—from recovering valuable Google Vault data to migrating mail through a mine shaft.